Society is under siege – under attack on two fronts: from the global frontier-land where old structures and rules do not hold and new ones are slow to take shape, and from the fluid, undefined domain of life politics. The space between these two fronts, until recently ruled by the sovereign nation-state and identified by social scientists as ‘society' is ever more difficult to conceive of as a self-enclosed entity. And this confronts the established wisdom of the social sciences with a new challenge: sovereignty and power are becoming separated from the politics of the territorial nation-state but are not becoming institutionalized in a new space. What are the consequences of this profound transformation of social life? What kind of world will it create for the twenty-first century? This remarkable book – by one of the most original social thinkers writing today – attempts to trace this transformation and to assess its consequences for the life conditions of ordinary individuals. The first part of the book is devoted to the new global arena in which, thanks to the powerful forces of globalization, there is no 'outside', no secluded place to which one can retreat and hide away, and where the territorial wars of the past have given way to a new breed of 'reconnaissance wars'. The second part deals with settings in which life politics has taken hold and flourished. Bauman argues that the great challenge facing us today is whether we can find new ways to reforge the human diversity that is our fate into the vocation of human solidarity. Chapter 1. Chasing the Elusive Society. Chapter 2. The Great Separation Mark Two. Chapter 3. Living and Dying in the Planetary Frontier-Land. Chapter 4. (Un)Happiness of Uncertain Pleasures. Chapter 5. As seen on TV. Chapter 7.From Bystander to Actor. CONCLUSION: From Utopia with no Topos. 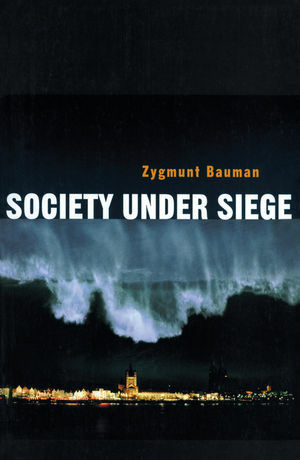 A major new book by Zygmunt Bauman, one of the leading social theorists in the world today. Addresses the changing nature of global politics and of life politics – and the relations between them. Deals with a range of very topical issues such as the changing nature of war and military conflict in the aftermath of 11th September. Bauman argues that the great challenge facing us today is to find new ways to reforge human diversity into human solidarity.